Get A Fair Offer – Your Closing Date. We Pay All Costs! 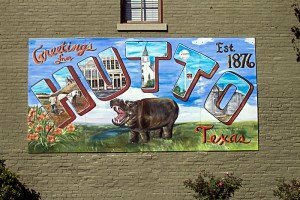 We know there are many people out there looking to buy your Hutto home. Fly by night companies, who want to purchase at the lowest price possible, so they can make a quick buck. That is not what we do. We are a team of locals. A team of people with diverse backgrounds who have all come together in an effort to help Hutto homeowners. We pride ourselves on knowledge and the decree to never stop learning. We are always aware of market conditions and can help you decide what is best for you when you are ready to sell. If you want to sell a property in Hutto or the surrounding areas give us a call! We can make you an offer and always explain what listing will really mean for you! Our process is fast, transparent and always fair. We pride ourselves on our integrity and sincerity. We are not out to make a buck, but rather help people. Our interest is in the local communities. We want to help people who feel stuck with a burdensome property. People who don’t know what to do with a house that is costing them more than it’s worth! You aren’t stuck, and you can work with a local team of people who want to do nothing more than help you. There are so many benefits to selling direct… you will save time, experience no-stress, and put cash in your pocket. Texas Direct Home Buyers can help you with whatever situation you are facing. The transaction will be simple and smooth. We are an open book and will keep you posted on everything along the way! Before you commit to an agent, talk to us first! Don’t sign any listing agreements until you get our offer! There is never any obligation or pressure. We want to you to be well informed so you can make the best decision possible. For some people listing works, for others, a direct sale is the more lucrative and liable option! Explore ALL of your options before you commit! You can immediately end your financial responsibility on the property. No more taxes, insurance or utility costs. No waiting. You can plan your next move. You will know what you are getting and when. When you list, you do not get that luxury. Selling the traditional way isn’t right for everyone. There are stress and costs people don’t think about. We aim to make the process easy and fair. It does not have to be difficult! Work with a team who is looking out for you. There is never any risk, hassle or obligation! After getting our offer, you decide you want to list it, we will never hassle you! We will help with resources to get you the best price possible! 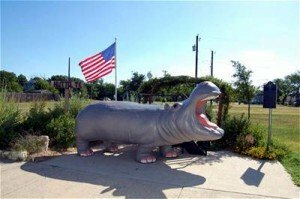 We make selling you Hutto home easy! Texas Direct Home Buyers is ready to make you a fair and honest all-cash offer now! We will buy homes in any condition and will always give you a great price! We want to provide you with an offer as well as market information so you can make the best decision for your situation! The offers are always zero-hassle or obligation! Fill out the form above for an offer within 24 hours!